Partners have gathered additional resources to support classroom and community conversations inspired by American Creed. This reading list was initially compiled by David Kennedy and then expanded by Citizen Film to serve as background reading for the themes raised by American Creed. Support your students to embrace the larger questions featured in American Creed that ask: What ideals unite us as a nation? Where does a nation’s identity come from? These lesson plans give you access to teaching strategies, videos, and activities that will help you explore themes such as common ideals and national identity. Ignite Student Voice, Inspire A Community! Join the #shareyourlearning movement to help 5 million students publicly share their learning each year by June 2019. Download these resources created for Writing Our Future: American Creed and be one of 300,000 teachers committed and connected across the nation to transform schools into centers of engagement and hope. 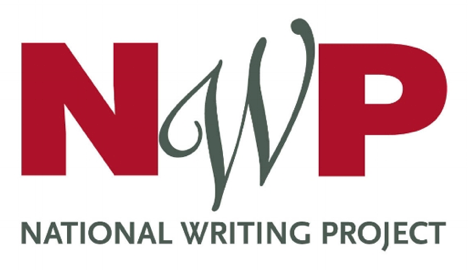 This resource, created by the National Writing Project's College, Career, and Community Writers Program (C3WP) invites students to annotate audio and video texts from American Creed in order to surface evidence for their argumentative writing and composing. Living Room Conversations are a conversational bridge across issues that divide and separate us. They provide an easy structure for engaging in friendly yet meaningful conversations with those with whom we may not agree. These conversations increase understanding, reveal common ground, and sometimes even allow us to discuss possible solutions. No fancy event or skilled facilitator is needed. Sworn-Again America is a project to revitalize citizenship. Let’s reconsider what it means to be an American. Reimagine what we can do to make an unum out of the pluribus, and then, in ceremonies at dinner tables, block parties, or town square, with five or five thousand, take the oath to become a Sworn-Again American!